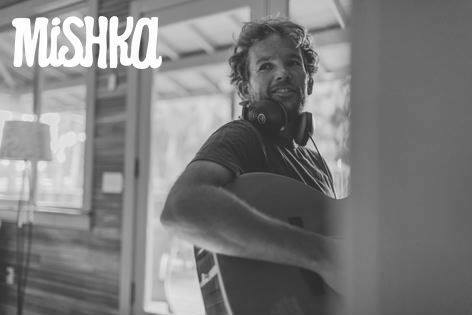 Jupiter, FL – July 23, 2018 – Guanabanas Island Restaurant & Bar music fans cannot seem to get enough of Mishka. The reggae / soul / acoustic troubadour who last played in the area in November of 2017, will return to the Jupiter venue for an intimate performance on Saturday, August 4, 2018, beginning at 9 p.m. The show is free and open individuals 21 and over. Guanabanas is located on the Loxahatchee River and near the Jupiter Inlet at 960 North Highway A1A, Jupiter, FL 33477. “Very few performers that come through here exude such soul and grace,” says Guanabanas’ Talent Buyer Matt Cahur. “Mishka is an amazing performer and we are lucky to have him this and every time. This show is not to be missed.” Cahur heads up Roots Music, Inc., which is based in Jupiter and for 20 years has offered music management, production and promotions services. Cahur is also the lead sound engineer at Guanabanas. Born in Bermuda, Mishka was raised in the Caribbean. He launched his career in earnest with the 1999 release of his self-titled debut. Since then, the artist he has been on both major and independent labels, and his songs have been featured on sound tracks in films and t.v. all over the globe. Winner of the iTunes Singer Songwriter of the year award for his digital-only collection of acoustic songs called Guy with a Guitar in 2009, Mishka’s songs have topped the Billboard Magazine Reggae chart three times. He’s shared the stage with artists ranging Jimmy Buffett, Kenny Chesney, Zac Brown, Dirty Heads, Matisyahu, to John Brown’s Body, Burning Spear, Slightly Stoopid, Sly and Robbie, The Roots, and Donovan. Mishka recorded and produced latest effort Roots Fidelity – a nod toward 70s dub / reggae – with his cousin Alec in Maui, Hawaii. Mixed in the UK by the prominent engineer Prince Fatty, the 12-song collection features a collaboration with the Legendary Horseman, and several tracks with backing vocals by famous UK reggae singer Earl 16. Mishka, a past guest on county superstar Kenny Chesney’s SiriusXM channel “No Shoes Radio”, has become a favorite of the program, placing nearly 40 of his songs on the show’s playlist. Mishka will be performing cuts from his entire catalog, which features several singles, EPs, and full-lengths on August 4 and on the previous evening August 3, during which he will be embarking on an exclusive, sold-out sunset boat cruise aboard the PonTiki with fans. This entry was posted in Blog and tagged guanabanas, mishka, reggae, roots music. Bookmark the permalink.